Formerly known as Bombay, Mumbai is the largest city in India with a population of over 20 million. The country’s largest slums can be found here, as well as the largest collection of millionaires, and the world’s most expensive home. There is a huge TV and film industry here and the world’s largest tropical forest in an urban zone. 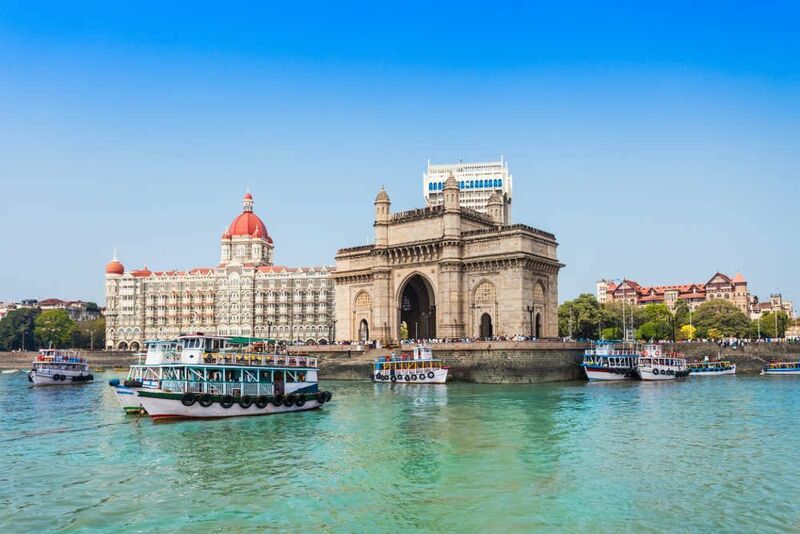 Though archaeological findings suggest they have been inhabited since the Stone Age, the seven islands which came to be Mumbai were originally fishing settlements over 500 years ago, until the Portuguese and eventually British took over. It is hot here all year round, with the monsoon season generally occurring between June and September. Nearly a metre of rain was recorded in in a single day in 2005. There are religious temples all over the city. Among the most popular is Elephanta Island, the maze of caves being a fantastic example of stone carving. Dating back as early as AD450, the caves are a UNESCO World Heritage Site. Another, the Iskon Temple, should be visited during prayer time to see frenzied drums and dancing in a sea of colour. Mumbai’s biggest museum, Chhatrapati Shivaji Maharaj Vastu Sangrahalaya, is a huge domed structure with a vast collection of artefacts. The new Mumbai experience provides a 20 minute overview of the history of the city and thankfully, some of the galleries are air conditioned. For a more detailed look, head to Dr Bhau Daji Lad Mumbai City Museum. Here they have over 3,500 pieces surrounding Mumbai’s past and the building is particularly impressive since its renovation in 2008. To get away from the city madness, take a day trip out to Sanjay Gandhi National Park. This tropical forest covers 104 square km and is home to all manner of pants and animals, including wild leopards. Some of the protected areas require permission to enter, so the best way to explore is via the Bombay Natural History Society. Try not to miss the vast Kenheri Caves, but avoid the ‘safari’ – all the big cats are in cages. The best way to experience this vast city is on foot, not least to avoid the traffic! The following tours are free and provide a unique view of Mumbai’s culture. They are all self-guided tours, so there are no scheduling restrictions, and you are free to stop as often as you like for refreshments and shopping! All tour routes can be downloaded for use offline via the ‘GPSmyCity: Walks and Articles with Offline Maps’ app. Art enthusiasts will be completely at home on this cultural tour. Starting at Town Hall, it explores some of the best galleries and museums in Mumbai’s Art District, culminating at Galerie Mirchandani + Steinruecke. The walk will take 2 hours, but the tour will take much longer with all the art there is to admire along the way! This tour is perfect for those looking for presents for home or souvenirs to remember your trip by. It is a 2 hour walk and each stop has specific traditional items for purchase, everything from jewellery to henna to musical instruments. If, like Bono, you still haven’t found what you’re looking for, feel free to check out Souvenir Shopping Part 2. 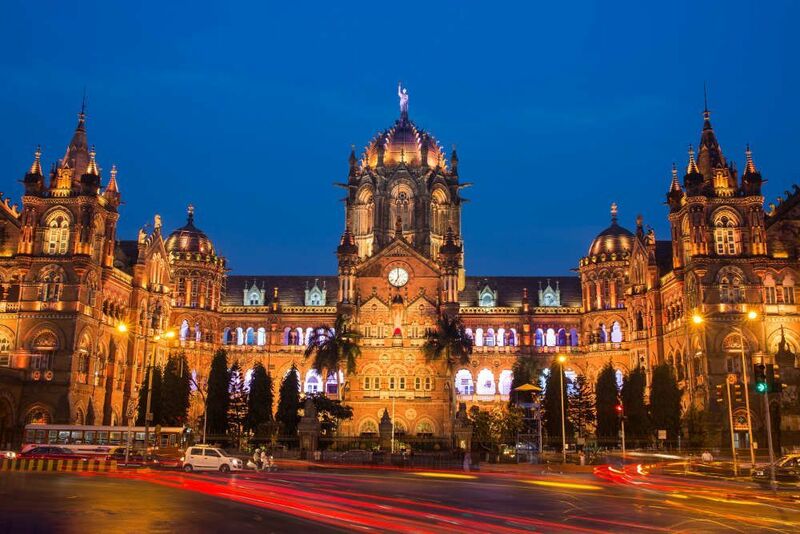 Below you can find more popular (but not free) activities and tours in Mumbai. Are you from Mumbai and want to be a tour guide? Please get in touch by submitting your details on this page!